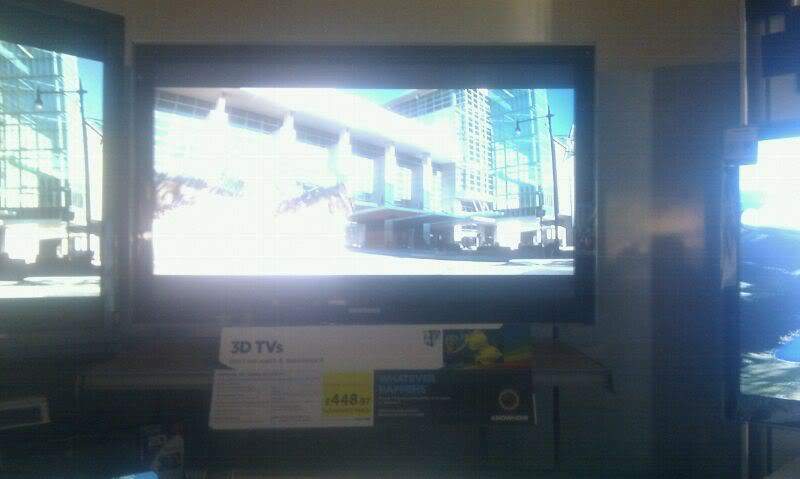 I bought one of these TVs over the weekend at Currys Digital in Hull. It appears to be nationwide because a friend went into the Salisbury store and bought the same set at the same price a day later. Comes with a pair of 3D Glasses in the box and a free stand! Very impressed with my new TV so far, both standard and HD content looks really great and the Smart Tv apps are really cool. This price in Hanley too - Clearance stock though so might be ex-display! Good TV and a great price for a 3D set. Bought dis last year in August for £900 ! im off to check this out now !! my local tesco have an ex display 40" which is badly marked and they have reduced it to £700.... bargain ?!?!?!? Had 2 of these. Major screen bleed issues ! Ended up swapping for the Panasonic led smart set. Bit more expensive but no bleed at all. There is a reason the C series have dropped in price so much. It has been replaced with the 2011 series TVs (not sure about differences) hence the big price drop. At first i was unsure, because its a samsung (had bad experiences in the past) but ive been proven wrong with this TV. Tried to get this at my local PC World/Currys stores. All sold out. Had a quick look at their stock levels at other stores and it seems most have only got the display models left and Hull had 2 left in stock which means 1 is sealed in its box. Hope that helps someone. These have issues with glasses going out of sync and screen burn. I hate how there is a different technology behind 3D PC gaming & 3D TV/Blu-ray. Tried to get this at my local PC World/Currys stores. All sold out. Had a … Tried to get this at my local PC World/Currys stores. All sold out. Had a quick look at their stock levels at other stores and it seems most have only got the display models left and Hull had 2 left in stock which means 1 is sealed in its box. Hope that helps someone. how do you check stock online? thanks. If it's clearance/ex display you have to ask someone at a store to do it. The Samsung LE40C750 lags by about 41ms with [Game Mode] enabled, which … The Samsung LE40C750 lags by about 41ms with [Game Mode] enabled, which is enough to cause problems with games requiring lightning-quick reflexes. Slower-paced games were still a lot of fun on this display, but “one hit and you’re dead” online games were more frustrating than they were enjoyable. We really hope that more manufacturers recognise how big an issue input lag is and reduce it for future models, because there are really only two brands who seem to be catering to gamers at the moment. Bought mine about 3 weeks ago (ex display) for 498£ must say that is amazing tv with a lot of features but has got bad points too i.e. Gaming as someone mentioned a few posts back. Lag input over 100 ms and 40ms on game mode not very good for the c.o.d fan imo. Got the LE46C750 last year, and can honestly say its got the best SD/HD Piccy quality of ANY of the Sets that my AV techie friends have. 3D is in its infancy so its not a big plus point for the set...more of a averagely implemented gimmick. input lag will be an issue for FPS gamers, but playing anything else not dependent on lightning fast reflexes will not be a problem. So to recap if you're buying this for TV/Movies this is a FANTASTIC set, buy it for this reason and you will NOT be disappointed!!! P.S I do not work for ANY retailer, so no vested interest. Before buying this tv search on google for reviews and you will see the issues. Just warning people as I also thought these sets look great with super sharp picture and so clear but watching dark scenes look at the side where the USB ports are and you will see the massive patch of White where the ports press against the screen. I think they changed this in newer models. This set also suffers from what is called screen lottery. Great price for great TV. Is this the TV that works with the 2100 series glasses as they are hard to find? 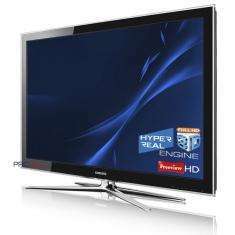 Great price for great TV.Is this the TV that works with the 2100 series … Great price for great TV.Is this the TV that works with the 2100 series glasses as they are hard to find? Yes it uses the 2100 series glasses, which are hard to find and expensive. A few people mentioning game lag... There are 2 things you need to do to reduce game lag. 2) Set (Rename) the HDMI port to PC or PC DVI input. Crazy but it works! Great price, great tv - I have one and not had any problems!! b) in nearly all cases what is available will be ex-display - from working in retail I would never want anything that the "public" has been able to get its sticky hands on! Is this TV still on sale? Whats the product code as currys have no idea what im on about.